Upgrade - Weapon. Cost: 3. 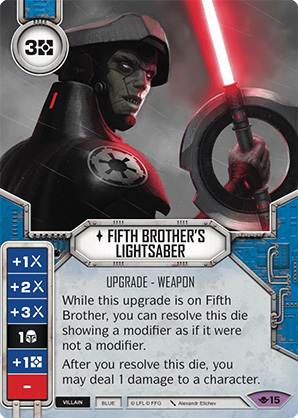 While this upgrade is on Fifth Brother, you can resolve this die showing a modifier as if it were not a modifier. After you resolve this die, you may deal 1 damage to a character. Way of the Force #15.